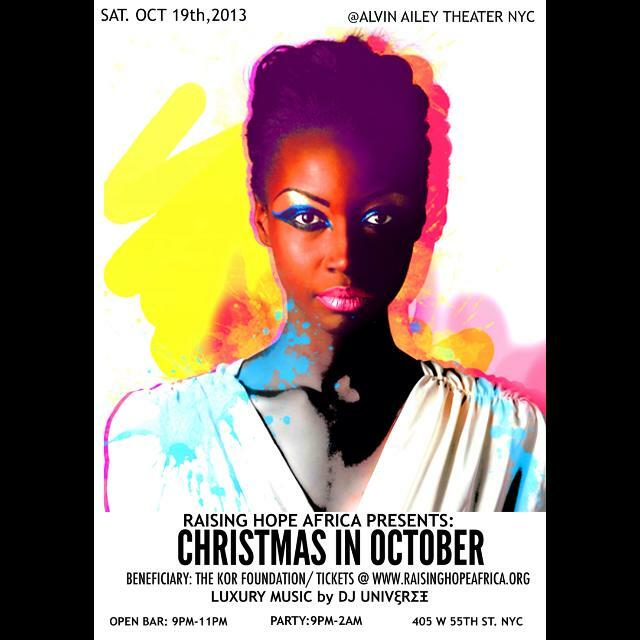 The third annual Christmas in October black tie gala will take place on October 19, 2013 at the Alvin Ailey Dance Theater in New York City. 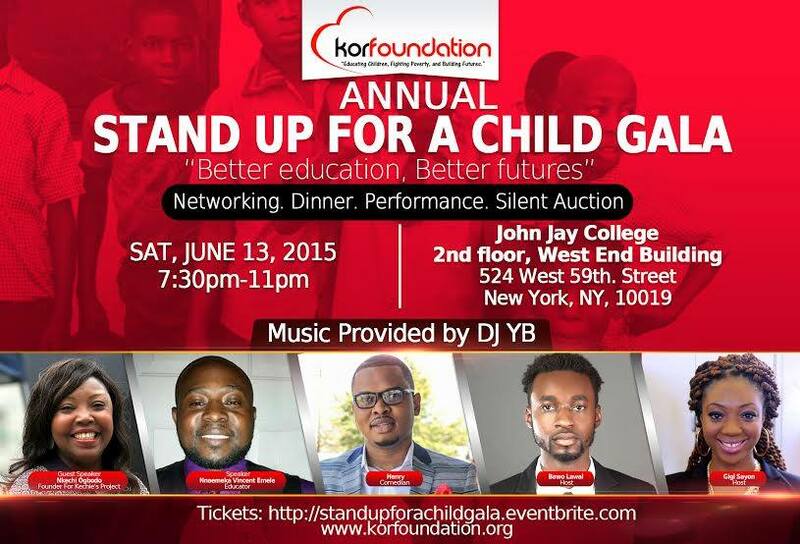 This affair features open bar and complimentary hors d’oeuvres, special performances, raffles and more. 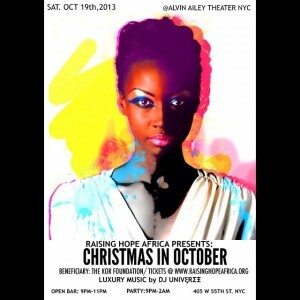 This will be a fun and classy pre-holiday party that you do not want to miss! 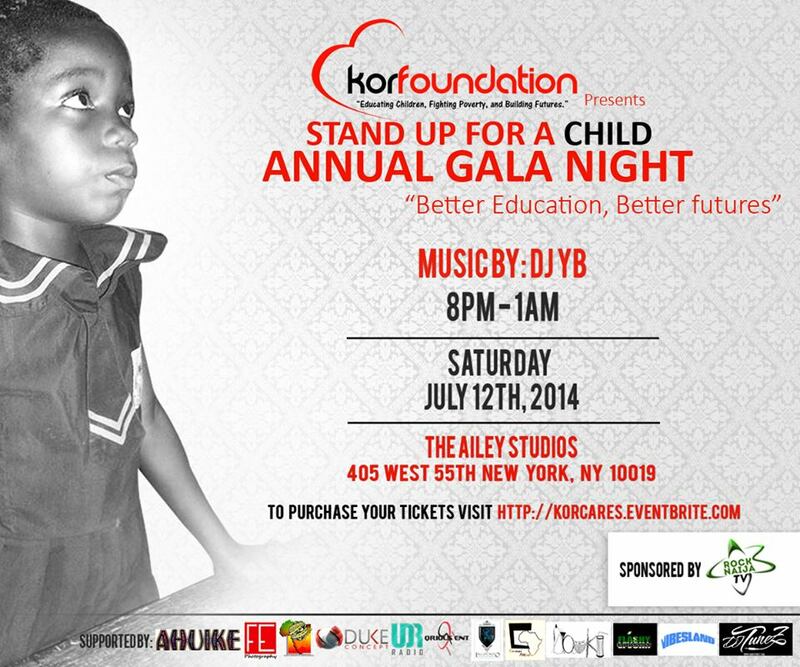 Luxury music will be provided by DJ Universe. 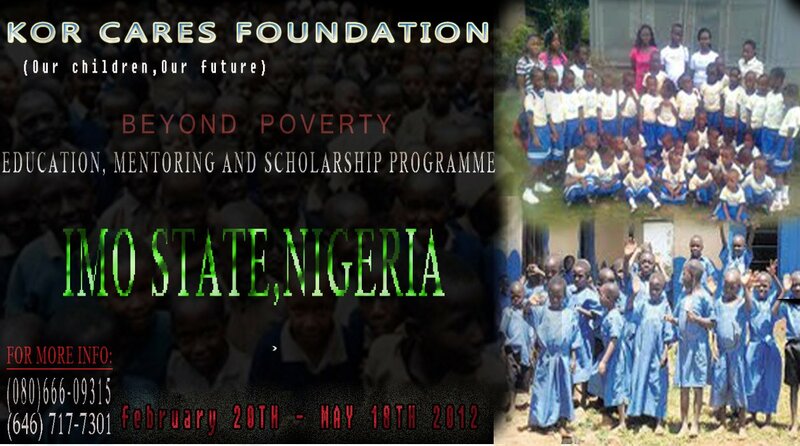 Kor Foundation is a non-profit organization founded in 2009 by Stanley Onwuakor, dedicated to fighting poverty within the less privileged communities of African countries by providing educational supplies, improving the conditions of poor education facilities, and mentoring young children to develop the knowledge necessary to attain academic, economic and social achievement. 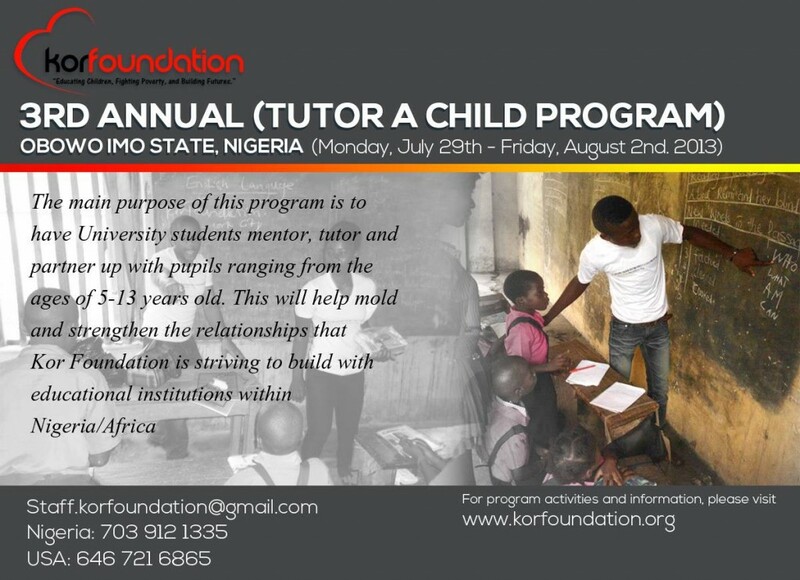 The Kor Foundation believes that in order to decrease poverty and the poor mindset of many individuals within the less privileged communities of African countries, we must invest in the education of the children. 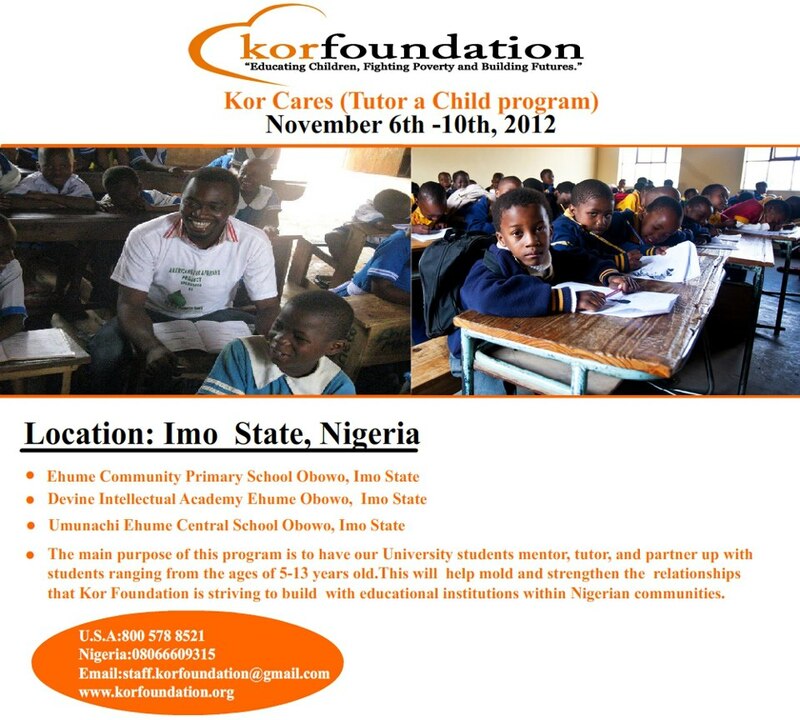 The Kor Foundation is currently seeking to raise funds for is the Umunachi Ehume Central School in Obowo, Imo State Nigeria. The unfortunate circumstances and poor conditions the pupils are forced to learn in have become a hindrance to the progress of their academic success. The Kor Foundation intends on using funds raised to provide Umunachi Ehume Central School with necessities such as class room desks, black boards, school supplies, toilet plumbing, and most importantly, our School Library Project. 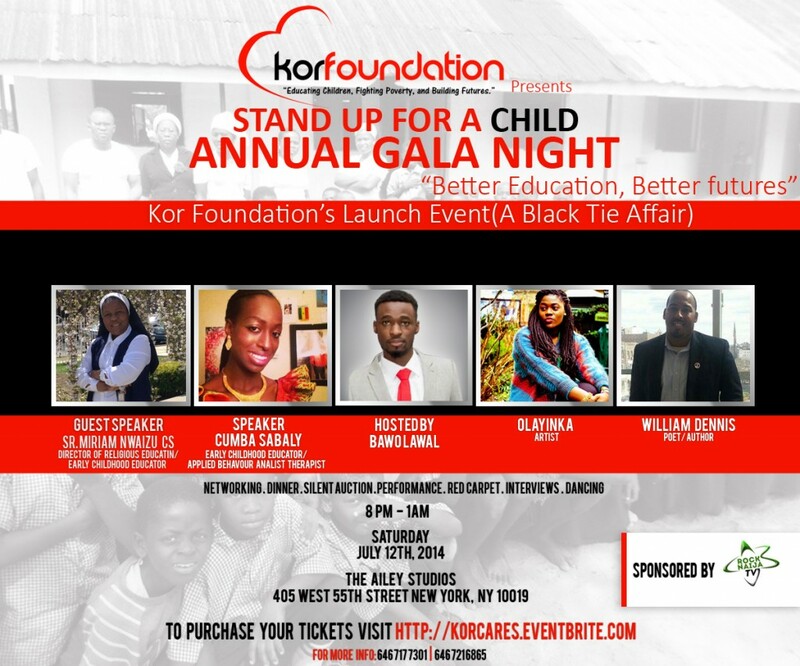 Funding renovations for the School Library Project will give Kor Foundation the opportunity to provide the pupils in this school with a chance to sit in a safe, warm, exciting enviroment conducive to learning. 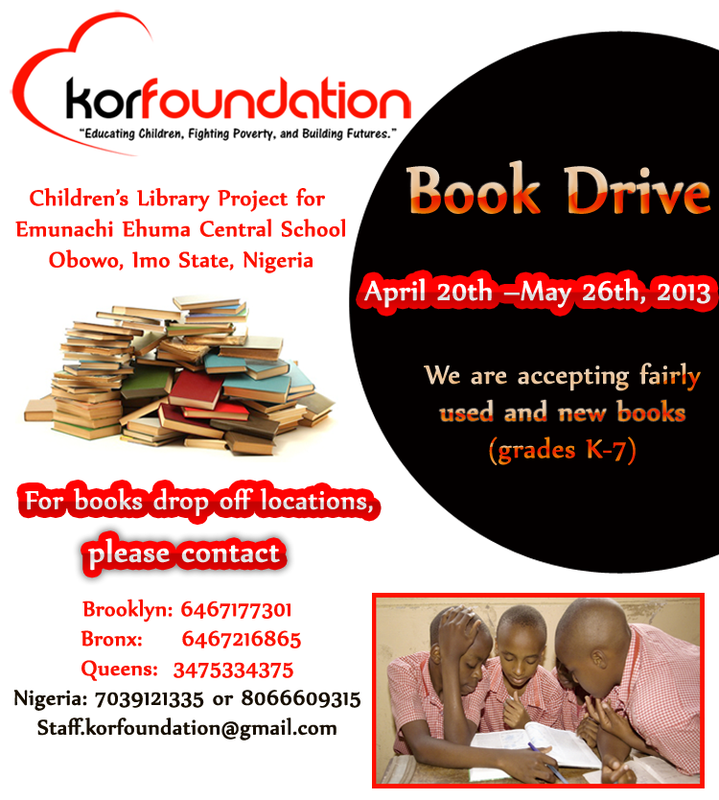 The library will be a place for children to expand their horizons mentally and practice their literacy skills. They plan on making sure these objectives are targeted by using Tutor-A-Child Program workshops to create curricula that will incorporate pupils using books from the library. Tutor A Child program, Obowo Imo State, Nigeria.